If you’re looking for the fastest way to get a cup of Joe, then instant coffee is the way to go in today’s world. There was a time when people enjoyed drinking cups of coffee prepared from ground or freshly roasted premier coffee beans. But times have changed, and with it, people’s preferences. There is no doubt that almost everyone likes a hot mug of coffee – preferably in the mornings – though a few others like it chilled with ice. Instant coffee is much easier to prepare when compared to the preparation of regular coffee that entails fiddling with filters and coffee machines. All you need is a mug, your tea kettle, and the instant coffee. Some instant coffee brands also offer a high-quality taste, much similar to the quality of regular coffee when regarding lasting aroma and flavor. Instant coffee may not be as popular in your local store – depending on where you live – but if you have access to the internet, you will have access to several excellent instant coffee options online. Prices on instant coffee vary greatly, just like other types of regular coffee. Instant coffee can also be as gourmet or as lowbrow as any other kind of regular coffee. However, this depends significantly on the coffee beans used, the quality of the processing, and the roast. Many people around the world have turned to instant coffee for their day-to-day caffeine needs as a result of the taste and quality which rivals what coffee shops offer and even better in some instances. That is not to say that some individuals believe that the quality of instant coffee leaves much to be desired. All in all, excellent instant coffee provides the same aroma and flavor as regular or traditionally packaged coffee. It is also good to know that instant coffee is developed from real coffee beans. The best coffee brands out there make use of high-quality ingredients, and coffee aficionados can tell the difference between excellent coffee and the not-so-good ones. We will be taking a close look at some of the best coffee brands out there and why they remain the top favorites on coffee-drinkers’ list of preferences later on in this write-up. By way of definition, instant coffee is a strong caffeine-rich drink made of granules, powder or crystals. The beverage is prepared commercially by brewing or distilling coffee beans to make either liquid coffee or coffee extract. These are subsequently sprayed or freeze dried. This process of preparing instant coffee requires the use of a hot gas which leads to the production of dry powder from the coffee extract. The coffee extract or liquid coffee is sprayed into a hot stream of air which originates from a towering cylinder, thus initiating the drying process. This procedure entails the dehydration of coffee. The liquid is extracted to preserve and make it easier to transport. The coffee extract is usually frozen to a temperature of about 40OC and then cut into small crystals or granules. These granules are then dried in a vacuum at an extremely low temperature. This process is delicate, but in the end, both the flavor and coffee aroma are ultimately preserved. When instant coffee is prepared and made into dry forms via either of the methods mentioned earlier, it is subsequently packaged and shipped to customers at a much lower weight and volume. They are usually packaged into plastic or glass jars as well as into packets of different dimensions. Rehydrating powdered or granulated coffee to make a cup of coffee beverage is instant, using hot or cold water. Instant coffee remains unspoiled provided it is kept entirely dry. This implies that instant coffee has a much longer shelf life compared to regular coffee beans. Cleaning up after the preparation of instant coffee is also easy since there are no grounds to get rid of, which is the practice when preparing regular coffee. 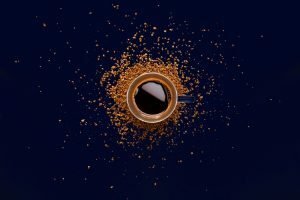 Although the spray and freeze-drying processes to create instant coffee are widespread or universal, the subsequent products vary regarding packaging and consistency. Some instant coffee products come in powdered form while some are granulated into crystal or grains to facilitate measurement and liquefaction. Instant coffee can also be called “soluble” coffee since all you’ll need to do is to add water to the granules or powdered coffee to create a beverage. The flavor of a cup of Joe is determined predominantly by the roasts and type of beans used in making it. The methods as well as the region where the coffee is grown also determine how the coffee influences the senses. But Arabica plants are extremely delicate and are therefore more expensive to grow. In this sense, Arabica beans cost much more than Robusta. Robusta, on the other hand, is used for creating instant coffees. This could be because Robusta plants are more resistant to insects and the weather. They are also much hardier than Arabica. The taste of Robusta coffee beans is not as refined as that of its counterpart, but it has significantly higher caffeine content than Arabica beans. This is why Robusta plants are easier to grow or cultivate as the coffee made from the beans are more affordable than those produced using Arabica beans. Coffee profiles vary significantly since they are primarily grown in Africa, Asia, Central and South America as well as the Caribbean. The land, humidity, growing conditions, and elevation also vary by region and this has significant effects on the flavor of the coffee beans. When it comes to selecting any of the numerous coffee brands – available in instant form – on the market today, it is a matter of personal preference. However, choosing the best instant coffee brands can be more selective. This is because the big manufacturers out there are always battling competition and therefore produce coffee blends in different packaging. Most of them even go as far as adding extra flavorings such as cream, sugar, spices or fruit to their instant coffee brand to liven it up. Recent technological advances in eco-farming have emerged in the coffee production universe, thereby making it possible for interested individuals to buy organic instant coffee as well. Some of the best instant coffees out there are garnished with gourmet flavoring to produce a branded or proprietary blend that is common to a particular company. In most cases, these gourmet blends make use of premium Arabica beans instead of the regular Robusta beans. Gourmet blends are also loaded with high-quality spices which are sourced from the finest growing regions around the world. Coffee is not only flavorful but also has an aroma. 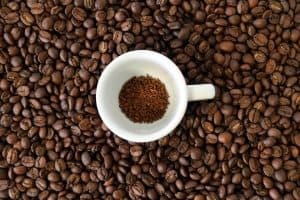 These unique characteristics affect coffee drinkers in numerous ways, and the perfect combination of these two helps coffee lovers to determine the brands they drink and enjoy often. The aroma is the smell of the coffee and this perceived through both the nose and mouth. 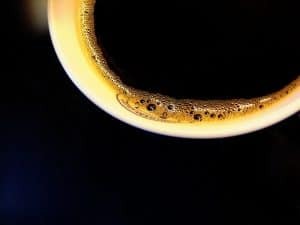 The aftertaste of coffee is regarded as a combination of sweet, sour, bitter or salty. Flavor, therefore, is a combination of both aroma and taste. The extent of roasting coffee beans determines its quality, taste, etc. You can measure the roast of coffee via the internal temperature and color of the roasted beans. However, the ‘best’ roast is a matter of personal preference as what may be perfect for one person may appear inferior to another coffee lover. Not many people know that the first patented instant coffee was developed and came to public notice in 1881 by Alphonse Allais. The next few years saw to the glut of coffee beans around the world. However, in 1930, Nestlé began to make some moves to perfect the process of producing reconstituted, dried coffee. Eight years later, the company had a breakthrough and introduced its first instant coffee to the general public. The rest, as they say, is history as Nestlé holds significant instant coffee market share – up to 70% of sales. But then, new instant coffee-producing companies are emerging every day, and a majority of them are giving Nestlé a run for its money. In-depth studies have been carried out to determine the benefits of consuming coffee on a daily basis. Endurance athletes – i.e., swimmers, runners, and cyclists – were the subjects of these researches and it was discovered that caffeine – or to be more specific, coffee – played a significant role in their day-to-day activities. Caffeine – which is present in coffee at a considerable percentage – boosts up endurance performance. Studies have shown that caffeine does not only boost speed but also enhances endurance, thereby helping you to go faster, longer. When coffee is consumed mid-race, your gastrointestinal tract readily absorbs it, thereby giving you an almost instant kick that pushes you with a sudden burst of power. This is because caffeine acts as a stimulant and speeds up the circulation of free fatty acid in your body. This makes more glycogen readily available for use during your athletic activities. Caffeine also comes in handy in your post workout procedure as it can help in the replenishment of your glycogen stores. Some have been led to believe that drinking coffee on a regular basis may result in acute dehydration, but there is limited scientific or clinical evidence to corroborate this fallacy. Although you can obtain caffeine from sources other than coffee – such as via sports or energy drinks, caffeinated gels, etc. – the benefits of getting your daily dose from a cup or two of instant coffee cannot be overemphasized. This is because recent studies have brought some evidence to light that suggests that coffee is home to some health-giving substances which can significantly enhance brain health, thereby keeping dementia at bay in the long run. There are almost no other beverages that provide as great convenience as instant coffee. Not only is it fast, but it is also inexpensive. For these reasons, some individuals erroneously believe that instant coffees do not possess the same level of quality as regular coffees. But instant coffee has improved significantly by leaps and bounds since they came into existence about two centuries ago. It is a great boon to active runners as it boosts them up efficiently on the go. Aside from the speed of preparation, instant coffees are portable, i.e., easier to transport. You can stick several packs of instant coffee in your knapsack and are comforting when consumed during camping trips, especially when paired with a trail stove. If you love staying outdoors or camping in the woods, you need to make sure Starbucks VIA is part of your arsenal. It has one of the best flavors out there today. As soon as you mix it with hot water, the instant burst of aroma will titillate not only your nostrils but also your taste buds as well. Starbucks VIA does not contain any sugar: so, if you’re a black coffee person, all you need is to stir your cup of Joe and have an enjoyable morning. The popularity of Starbucks VIA has brought a lot of counterfeit products into the marketplace. Therefore, you need to be careful when purchasing this brand of instant coffee, so you don’t end up buying the duplicates. It’s also likely that you may come across the purported “Deals Plus!” which is displayed throughout the year. Don’t be taken in by such fake deals as the coffee may have exceeded the expiry date. The major problem that plagues instant coffee is it usually goes stale long before it is brewed. But you’ll not come across such issues with Sudden Coffee. Sudden Coffee is composed of high-quality, one hundred percent Arabica coffee beans. Brewing Sudden Coffee is not made the conventional way. Instead of making use of the heated, spray-dried process that is common, the coffee grounds from Sudden Coffee is freeze-dried and then, dehydrated slowly in a highly controlled environment. Then, all the coffee is packed in vacuum-sealed tubes, making Sudden Coffee one of the most sought-after coffee brands in the marketplace today. 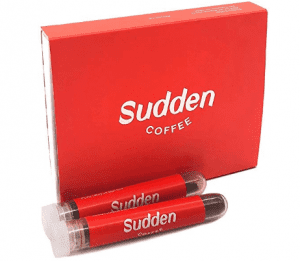 The flavors of Sudden Coffee are full-bodied, fresh, and aromatic. What is more, they can be prepared in an instant! Just open and pour the content of the tube into the cold or hot water and stir well. Your cup of coffee is ready! You can also use Sudden Coffee to prepare any coffee beverages you love. So, if you’re a cappuccino person or prefer iced lattes, Sudden Coffee can deliver your desire on a platter or perhaps in a mug of delicious coffee. However, Sudden Coffee comes with a hefty price tag. But then, if what you’re searching for is premium coffee, then this is the brand you should take home with you. This is the perfect instant coffee for people on a tight budget. Apart from the fact that it costs less upfront or off the shelf, it also costs far less in the long run since all you need to prepare a steaming mug of your favorite beverage is just 6 ounces of powdered coffee. Despite being pocket-friendly, Nescafe Clasico Instant Coffee delivers a high-quality brew, especially in the taste department. The aroma is not that bad as well. In fact, it is the first thing you’ll notice that hints at how excellent and delightful the beverage is going to turn out. The aroma that emanates when six ounces of this coffee powder is mixed in a steaming cup is strong enough to wake any coffee lover from a deep sleep! The best way to enjoy maximum satisfaction when using this brand of instant coffee is to use the right amount of water. You may go through a few trials and error at first – especially if this is the first time you’re making use of this powdered instant coffee. Too much water will wash out the flavor of the beverage, and too little water may result in a burnt taste. But in the end, you will get the right blend of both water and powdered coffee that appeals to your taste buds. 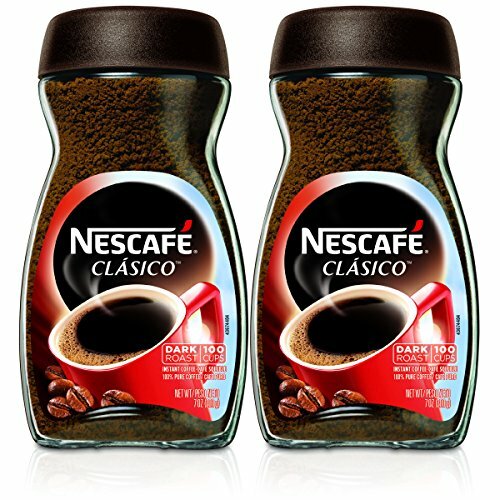 Nescafe Clasico Instant Coffee comes packaged in a glass jar, so it may not be an ideal option for backpackers or people hiking up the trails. But you can still take this instant coffee with you on a hike if that is your choice. All you need to do is to transfer the content of the glass jar to an airtight plastic canister. • Restricts long-distance travel as it comes packaged in glass jars. If you don’t like dark and heavy coffee but prefer a smoother and milder one, then Mount Hagen Organic Instant Regular Coffee is the best option for you. Mount Hagen Organic Instant Regular Coffee lacks the acidic taste that is common to other instant coffees in the market today. This brand of instant coffee is fair trade certified 100% organic by one of the largest organic certification organizations in the world known as EcoCert. This is the major selling point of this delightful instant coffee. 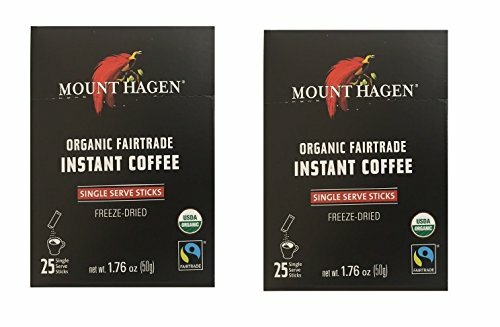 Mount Hagen Organic Instant Regular Coffee is freeze-dried without additives or chemicals. This means that the coffee you’re consuming will not harm you since it contains zero chemicals, and your environment is also ecologically safe. You can take the Mount Hagen Instant Regular Coffee with you when you go camping or hiking. Unpacking it presents no hassle whatsoever; add water and stir the mixture well until the granules dissolve completely. 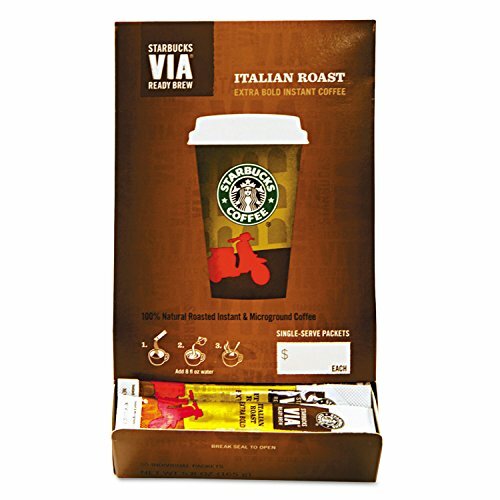 One of the most sought-after and highly rated instant coffees in the market today is Starbucks VIA, especially the Decaf Italian Roast. Decaffeinated coffee has taken some bad hits, no thanks to the poor quality of some of the brands that ate out there. Some don’t even taste anything close to coffee! However, Decaf Italian Roast is in a class of its own; you don’t need to worry about its taste or flavor. This is because of the bold and rich flavor you’ll enjoy once you prepare your favorite beverage using this brand of instant coffee. Decaf Italian Roasts come in small packets, making it very convenient to put away in your backpack and carry it anywhere you go. You can crack up the packets anywhere you are on the trails and enjoy a nice cup of this decaffeinated beverage. The packaging of this brand of instant coffee also helps to preserve the freshness of the coffee grounds, thereby extending its shelf life. You don’t need to head out to the nearest Starbucks for a cup of coffee; the Decaf Italian Roast is more than enough to quench your coffee thirst and set you on your way to a highly productive day, thus saving you a lot of money and time. Maxwell House instant coffee is one of the brands that originate from the United States of America and has been a loving companion of coffee aficionados for decades. 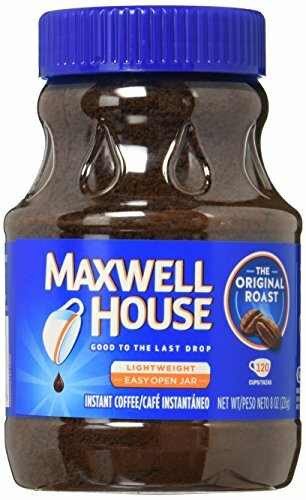 Maxwell House instant coffee brand has never compromised quality, and this is the one, major thing that has endeared them to the hearts of millions of people in the United States. It is also the number one reason why it has remained steadfast in the coffee market for so long. Do you need a positive first impression? Take a look at the appealing packaging that Maxwell House instant coffee comes in. Maxwell House instant coffee offers a maximum of 17 servings. Each canister is resealable, making it easier to preserve the coffee grounds. 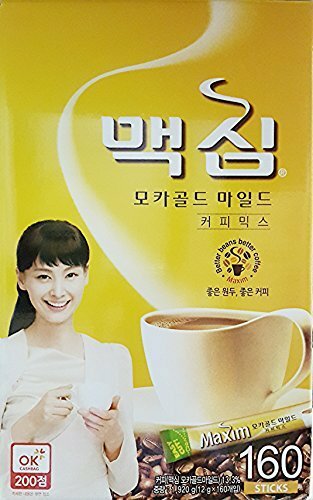 This instant coffee also comes in several, delightful flavors. The creamy layer that builds on top of your mug of coffee makes it similar to a latte. Maxwell House instant coffee comes in excellent packaging that facilitates backpacking. This is why it remains one of the most favorite coffee choices of outdoor lovers. This is another freeze-dried, organic instant coffee that is certified fair trade and shade grown. Lovers of this brand of instant coffee enjoy its mellow taste and the complete lack of acidity and bitterness commonly found in other brands of instant coffees. Café Altura is made from 100% organically grown Arabica coffee beans. It has a light/medium roast. It comes packaged in a small jar for easy transportation and dissolves readily in cold or hot water. Café Altura has a three-year shelf life, thanks to the freeze-dried processes it has undergone. Its flavor is maintained for a considerably long time after the first usage. Jacob’s Instant Coffee has been one of the most favorite coffee brands on many coffee lovers’ list for years. This may be as a result of its striking similarities – in its bold, rich taste and flavor – with brewed coffee. 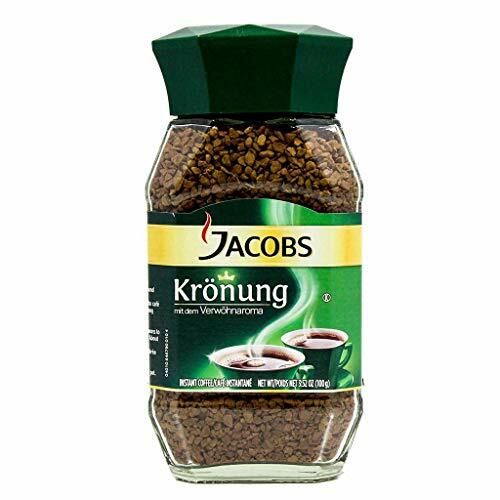 Jacob’s Instant coffee is made from high-quality coffee beans that closely resembles the type used for conventional brewing. It has a smooth texture and goes down smoothly since you can make it as light or as strong as you like. Jacob’s Instant Coffee comes packaged in an airtight jar, which may not be as convenient as the regular single-serve packets out there. However, it is easy to store and to use. Jacob’s Instant Coffee is freeze-dried, thereby enhancing its shelf life, taste, and consistency. It can stay up to a year on your shelf without losing its taste or quality. 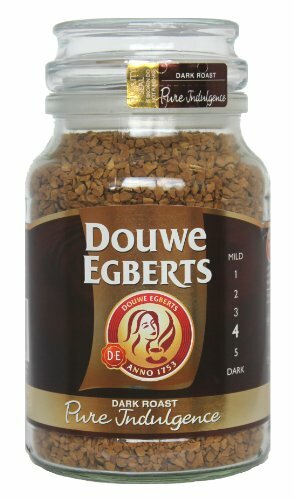 Douwe Egberts produces one of the finest instant coffees in the world today. The Dutch company roasts a premium blend of beans to produce high-quality coffee. Pure Indulgence gives more flavors and a fuller aroma compared to its counterpart, the Pure Gold instant coffee. This coffee blend is also darker, and the flavor depth is bold and strong. Maxim Mocha comes in an all-in-one package: coffee, cream, and sugar. It is for people who love drinking smooth and flavorful coffee every day. It is delicious, easy to use, and a preferred alternative to freshly ground coffee. 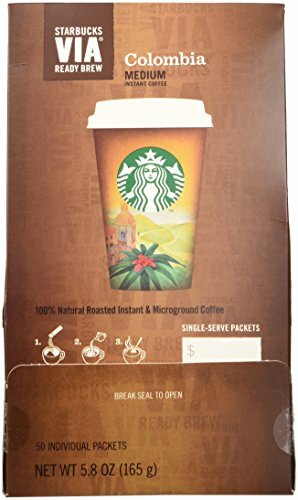 • Users may end up using two packets to make one cup of coffee. These brands of instant coffee are different regarding the taste, aroma, and color. This gives room for coffee lovers to buy any one of them based on their personal preferences and experience. Each of these brands is well-packaged to ensure that the coffee remains fresh and in excellent condition. We love coffee just as much as you, so rest assured that these instant coffee choices are solid. Let us know which one you enjoy the most and any others you would add to this list! Previous Post: « Mahlkonig Vario vs Baratza Encore: Which Grinder Should You Buy?